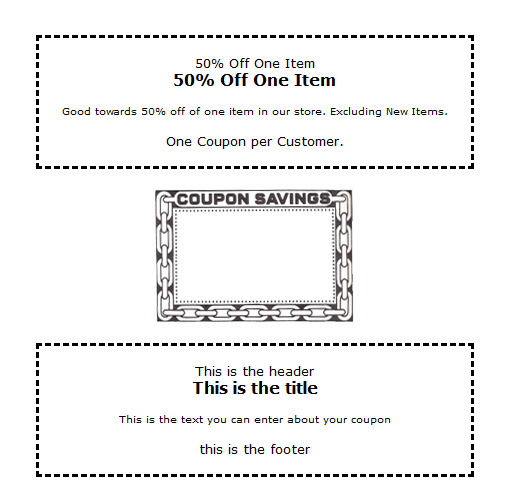 The "Coupons" page is a tool that we thought would make it easy to display your stores' coupons for easy access to your customers. 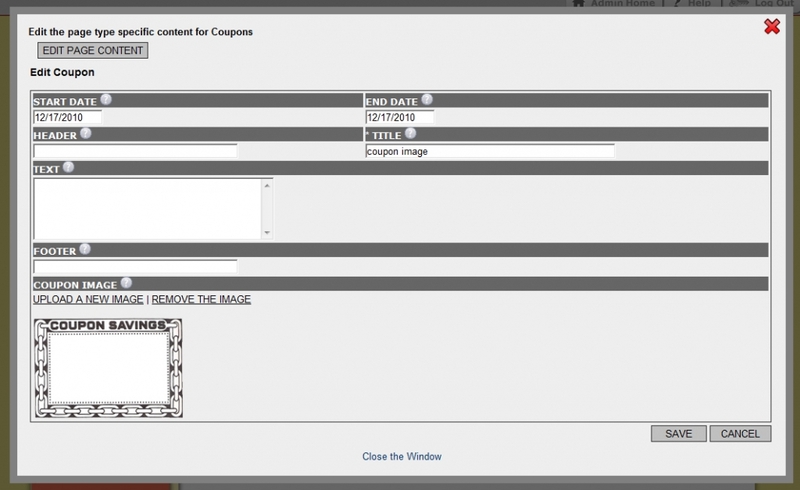 Start by logging into your Site Builder and going to your "Coupons" page. 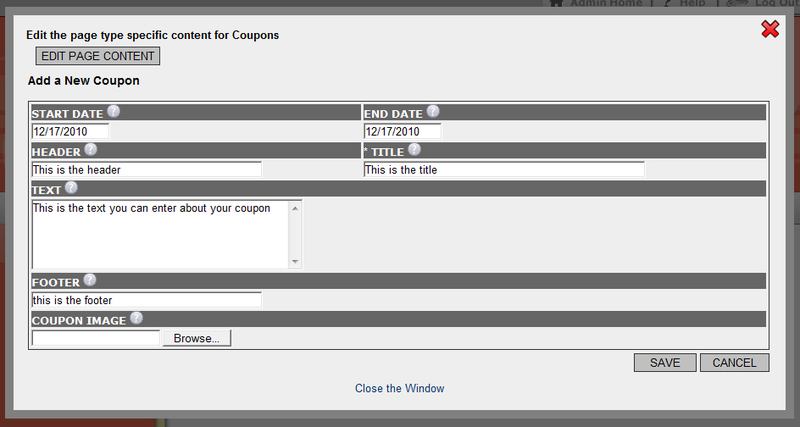 Here you can add new coupons, delete coupons, edit coupons, or upload an image of your printed coupon. Click on ADD A NEW COUPON. Fill out all the information. Note: DO NOT USE COUPON IMAGE unless you have a jpg or gif image of your printed coupon. In this case you will only insert title. See Directions below for Image Coupons. Save your coupon and close the window. This section is for a image only coupon. 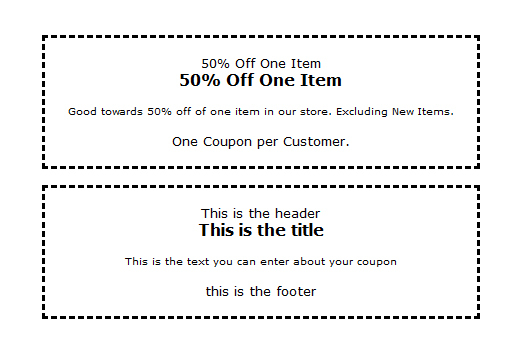 For instance if your store prints coupons and passes them out, you can upload that coupon to your site as an image. Click on ADD A NEW COUPON. Fill out Start Date, End Date, and the Title field marked with an asterisk. Click on Browse in the Coupon Image section. Find the file on your computer and select it. You end up with the coupon in the middle shown below as an example. This is a great way to provide savings to your online customers. This also helps to get them into your store!